MPSC is also known as “Maharashtra Public Service Commission”. 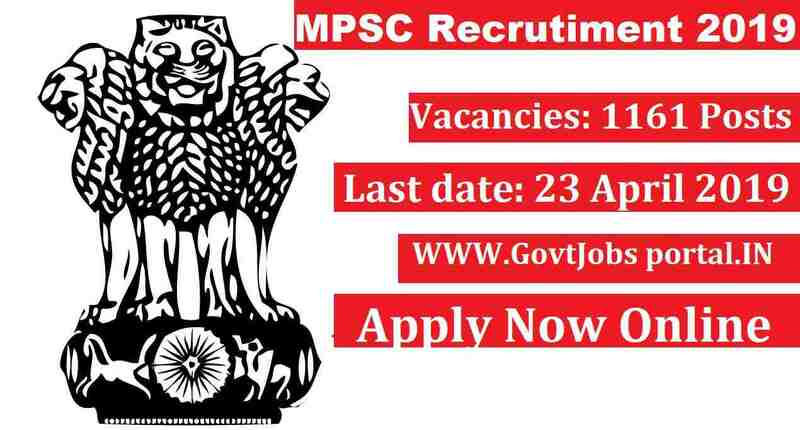 MPSC has introduced a notice for the recruitment of Assistant Engineers and other posts. MPSC Department is going to filling up total 1,161 posts of Assistant Engineer and more through this Maharashtra Engineering Service Exam 2019. Concerned applicants may check the completed examination details below from this article. After knowing all the eligibility criteria candidates have to apply online through the official website. The process for applying for these Government jobs in Maharashtra in online and the link will remain active till 23rd April 2019. Examination Name: Maharashtra Engineering Service Exam 2019. 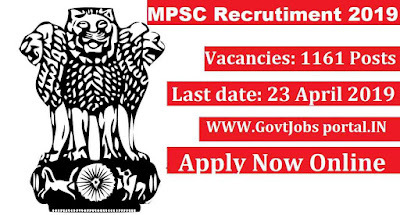 Educational Qualification: Applicants must have passed in their Engineering Graduation Degree in relevant field from recognized university/college can apply for this MPSC Recruitment 2019. Age Bond: Must satisfied following conditions related to the age before applying: Min.-19 years and Max.-32 years. Paying Method: Applicants can pay the above application fee through online mode using Net-banking/Credit or Debit Card. Process for Applying: Concerned and qualified applicants may apply online through MPSC official website whose link is as follow: “https://ntaicar.nic.in”. This link for applying this engineering services exam will remain active till 23rd April 2019. 3rd April 2019 is the Start Date to apply. 23rd April 2019 is the Last Date to Apply. Donate if you Like this Information. Thank you.